Sarah Heller is the Master of Wine. She is also a wine writer and speaker, as well as a WSET Diploma holder and winner of the 2013 Vintner’s Cup for the highest Diploma score worldwide. 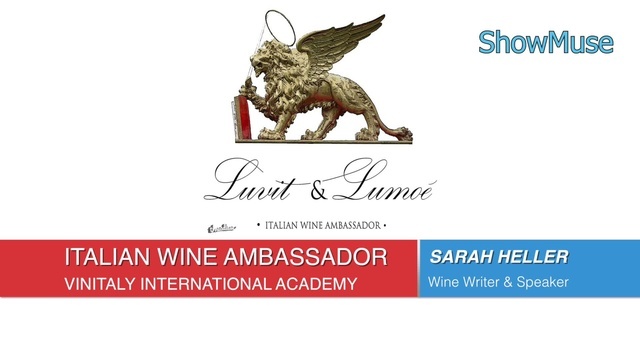 She is also a Society of Wine Educators Certified Specialist of Wine and Spirits and a Vinitaly International Academy Italian Wine Ambassador.